Good, Better, Best: Anxiety - Perelandra Ltd.
Everyone experiences anxiety. This time of year, those of you making that last push for the "perfect" holiday or those simply pushing to "get through it" may be struggling to get a handle your anxiety. Here are the Good, the Better and the Best options for using the Perelandra tools to help you manage and overcome these challenges. 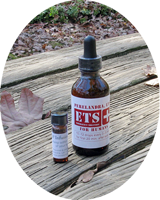 Take one dose (10-12 drops) of ETS for Humans 3 to 5 times a day. Keep doing this until you have found your footing. A good litmus test for stopping the daily doses: When you realize you have gone months since your last crack-up, panic attack or meltdown, and you have stopped bracing for the next one. Keep your EoP Infusion Pump in your pocket. This will help you more easily maintain your equilibrium from day-to-day. 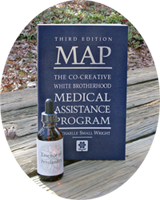 In addition to ETS and the EoP Pump, use MAP (Medical Assistance Program). Tell your MAP team what you're struggling with, what you feel when the anxiety creeps in or takes over, and how it impacts you each day. You may need more than one session, or a combined MAP/Calibration. Also, try taking a focused dose of EoP (Essence of Perelandra) daily to help you move beyond the anxiety and maintain your stability. See page 5 of the EoP Brochure for directions. An easy, comprehensive approach is to find out which Perelandra Essences and Solutions you need using PIC List Testing. Here's an example focus: "The support I need physically, emotionally and mentally to manage and eliminate my anxiety, and maintain my sense of balance." Or you could say: "I'm anxious all the time." We suggest the ETS and EoP baths (or all-over sprays) often because they're so simple and effective. It's also a great way of taking 20 minutes to be kind to yourself and relieve stress after spending the day fighting your anxiety. Prolonged stress and anxiety weaken your systems and can make you vulnerable. Shore yourself up with the added support of the MBP Immune, Lymphatic and Nervous Solutions twice daily. Or take your support a step further with the Stress Kit. If you have one, two or all of the Perelandra Essences Sets and you use PKTT, do a Basic Telegraph Test for Emotional and Mental Issues. This replaces the old Calibration Process, providing a deeper, longer-lasting sense of stability. See pages 214-215 of The Perelandra Essences book.